In Satellite Town, Lagos, three brothers, Fatia, Sakiru and Tunji Osun, strangled their brother, Yusuf, to death over the property of their late father. According to witnesses, their father willed the house to Yusuf, who wasn't the eldest, but the eldest, Fatia decided to sell the house for N17m. His plan was to take N10m and give his brothers N5m to share. Yusuf did not agree. Three brothers have been arrested by the police in connection with the murder of their blood brother. Fatia Osun (31), Sakiru Osun (20) and their step-brother, Tunji (34), were accused of killing Yusuf Osun (27) over N17 million which was to be realized from the sale of a house left behind by their late father. The incident occurred in the early hours of Thursday, Feb. 27, at Kano street in Mobile Estate, Satellite Town, Lagos and left residents of the estate and its environs jittery. Fatia Osun, who is a Muslim cleric and is popularly known and referred to as an “Alfa”, is alleged to have connived with his younger brother Sakiru, to kill Yusuf so that they would share the entire amount. 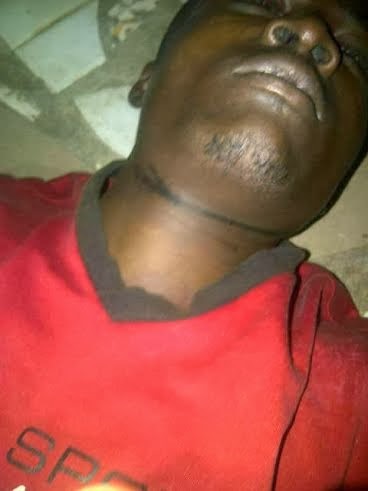 The late Yusuf Osun was strangled with a 2.5mm wire by Fatia while his other brothers stabbed him. After the murder, the half brother of the perpetrators and the deceased, Tunji, sent a text message to a neighbour, telling him that Yusuf had passed away. He informed the neighbour that Yusuf had gotten drunk, slipped in the bathroom and hit his head. 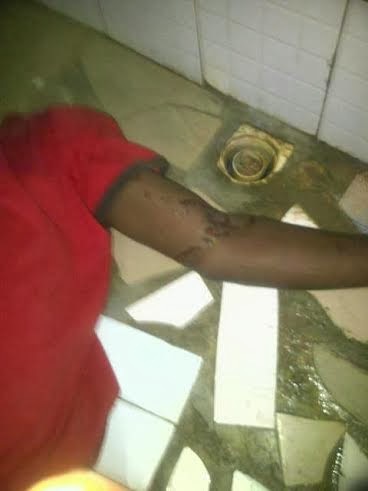 However, his story was suspect because Yusuf was a known teetotaller, and suspicious neighbours came to the house and found Yusuf’s body with all the wounds. They alleged that Tunji assisted his brothers in moving Yusuf’s body to the bathroom and cleaning out the sitting room, where the incident had occurred. At this point, the crowd turned into a mob, and beat up the brothers before informing the police who promptly arrested the brothers. According to neighbours, their late father had willed the house to Yusuf because of long lasting disagreements that he had with Fatia, the eldest over his lifestyle. But, said neighbours also claimed that the men’s father failed to leave a written will behind. N17 million. Yusuf instead suggested that they rent the house out and move to the boys-quarters because to him, the house was their only hope for long term survival. His refusal led to a disagreement between with his brothers, which resulted in a bloody fight. It was alleged that in that fighting, his brother, Fatia, stabbed him six times. 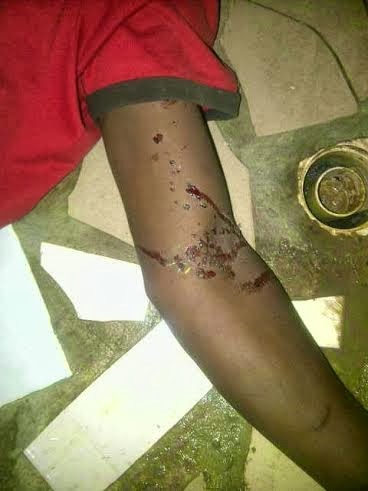 Yusuf however survived this fight and was admitted to hospital where he recovered after spending almost 3 weeks. The neighbours said that Yusuf had the previous night asked people to lend him N1,000 to go out since he wasn’t comfortable sleeping in their home. When a TelegraphNG correspondent visited the neighbourhood, the residents were all still in shock. A neighbour who pleaded anonymity, said he was surprised that Alfa could carry out such a dastardly act adding that she never imagined that such a thing will happen in their estate. “That means, his going to mosque and the whole Alfa thing is all camouflage, we all need to be wary about people around us, how can someone be so inhuman and callous to kill another person not to talk of killing his own brother over worldly things”. A neighbour, Yinka Adewale, said one of the accused and the most senior (Fatia) was also responsible for the death of their late father. “His plan was to sell the house long time ago, the death of his brother is not surprising to me because his father died mysteriously, so did his mother. He was taking out all those that seemed like a stumbling block to him,” Yinka said. “Something of this nature has never happened nor heard of within this vicinity, Mobile Estate is a peace place to live. Its a sad event, I don’t even want to talk about it again. Its just so painful” another resident lament. During interrogation, Sakiru, one of the accused who is also the youngest in the family, said his elder brother promised to send him abroad so he can have a good life if he took part in eliminating their brother, Yusuf. Investigations are currently ongoing at the Area E command Police station, Lagos and will be transferred to the Panti police station Yaba for further investigation.